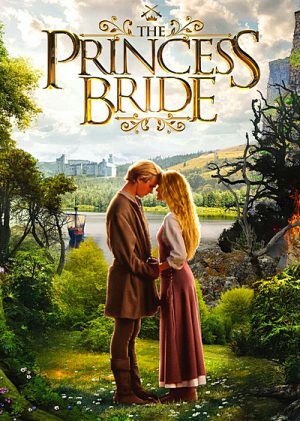 Mikey (Sean Astin) and Brand (Josh Brolin) are told that their house will be demolished and a brand new country club erected in its place. The boys share the terrible news with their best friends, Chunk (Jeff Cohen) and Mouth (Corey Feldman), who suggest that they find something valuable, sell it, and help their parents keep the house. While playing in the attic, the boys, who have nicknamed themselves Goonies, discover an old map supposedly pinpointing the exact location of notorious pirate One Eyed Willie's hidden treasure. They are not entirely sure the map is real but decide to give fate a chance and see if there really is a treasure waiting to be uncovered. 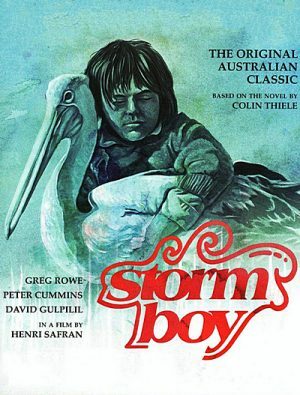 Suddenly there are intruders, the local teacher who wants him to attend school, a resentful wild-life ranger, duck hunters... Storm Boy, growing up, is forced to choose between a life of continued isolation and the challenges of the outside world. 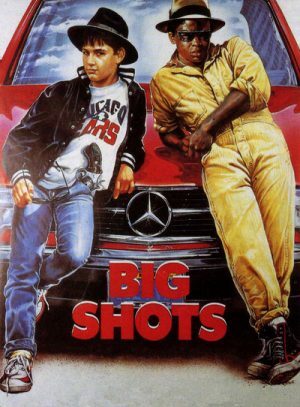 "Big Shots" is a modern urban retread of "Huckleberry Finn", except that the black character plays both Huck and Jim, the white kid is Tom Sawyer and the Mississippi River has been turned into an interstate highway. The result is more entertaining than you might think. This 1972 international production of Treasure Island is one of many film versions of the classic adventure by Robert Louis Stevenson. 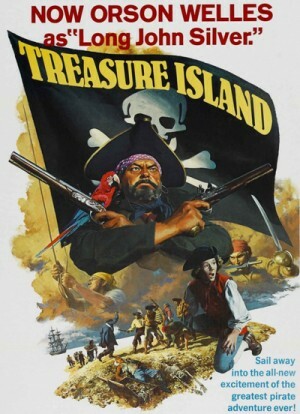 Treasure Islands story of piracy on the high seas begins with the arrival of the mysterious sea captain Billy Bones at the Benbow Inn run by Mrs Hawkins and her son Jim. 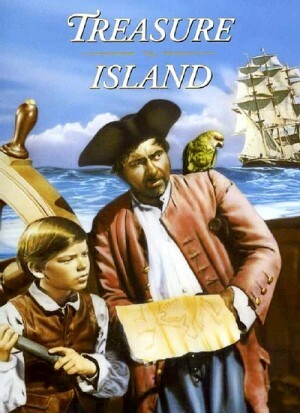 Captain Bones lives in fear of a one-legged man and before he dies he entrusts Jim with his map of Tresure Island. Jim takes the map to the local doctor who along with the Squire Trelawney immediately make plans to set sail for the island, taking Jim with them. However, among the crew is a mysterious one-legged man, and so the adventure begins! Ratan and Chaman are look-alike twin brothers who are busy having fun, acting in plays and playing with their friend Meera (a chirpy, kiddie-Tabassum!). Meera has a decided preference for Ratan and the two even play at husband and wife in their lets-pretend games. Unfortunately for them, a fair comes to town and the kids are eager to visit. Meera’s blind father (Chaman Puri) tries to stop her, but she will go to the fair with Ratan. Poor kid. She isnt to know that fairs never mix well with twins. The inevitable happens – a sudden storm strikes the fair and in the resulting mayhem, Ratan is lost, presumed dead. 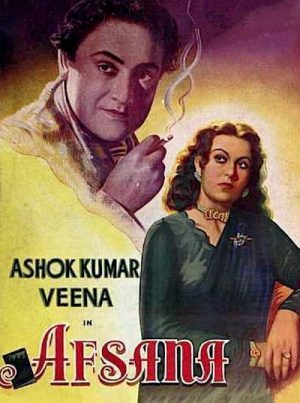 Meera grows up (Veena, now) mourning Ratan while Chaman (Ashok Kumar) tries his best to win her affections. Then suddenly there is an unexpected twist in the plot which changes the entire pace of film. Will Meera find the love of her life, Ratan ever again? To celebrate MGM's 50th anniversary in 1974, producer Jack Haley, Jr. (the son of Jack Haley, who played the Tin Man in The Wizard of Oz) came up with the idea of cutting together highlights from the great MGM musicals into a compilation film, which would be broadcast on television. Haley and executive producer Daniel Melnick spent months digging through the vast MGM film vaults for clippings from such classics as Singin' in the Rain, An American in Paris, and Meet Me in St. Louis, as well as less familiar gems. 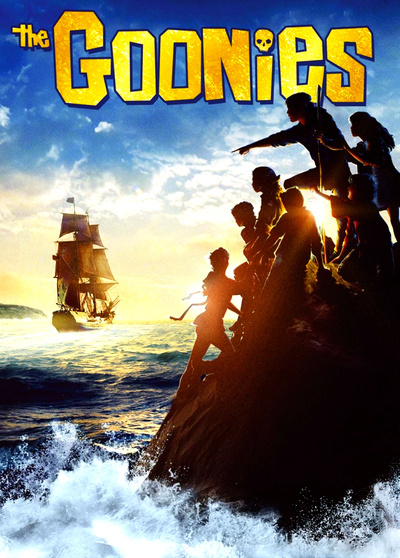 MGM executives liked the compilation so much that they decided to expand it into a feature film. Haley brought Gene Kelly on board as a host, and Kelly in turn was able to entice stars like Fred Astaire, Bing Crosby, and Frank Sinatra to introduce and provide narration for the clips. 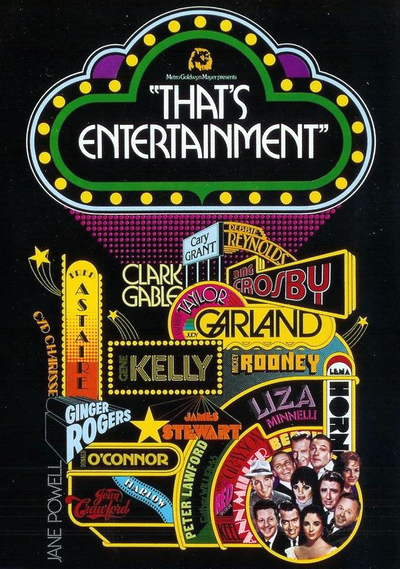 The final result, That's Entertainment!, was a smash hit, adored by critics and a generation of moviegoers whose only access to the great musicals of the past was the occasional art-house revival or mangled television broadcast. That's Entertainment! not only popularized the retrospective compilation genre but tapped into a nostalgia for Old Hollywood that has been a pop culture staple ever since. The film spawned three sequels — That's Entertainment, Part II in 1976, That's Dancing! in 1985, and That's Entertainment III in 1994. Harold Lloyd's final silent film, Speedy, may well be one of the greatest silent action comedies. This isn't an exaggeration. 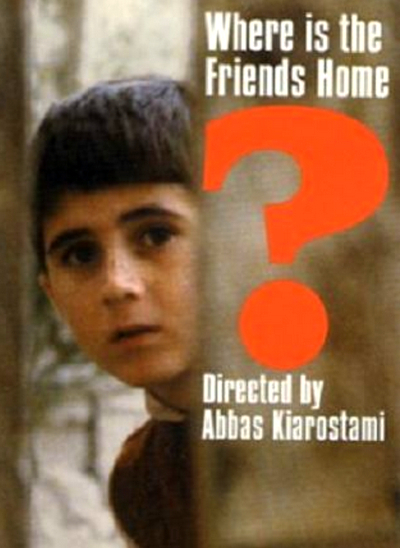 The chase sequences from the film's final act have to be seen to be believed. Lloyd’s character, Harold ‘Speedy’ Swift, is a normal guy with an abnormally strong love for baseball. He has a terrific girlfriend named Jane (Ann Christy); she’s pretty, level-headed and devoted, and longs for a settled life, which would be a good thing for Speedy, too. Jane’s grandfather, Pop (Bert Woodruff), drives the last horse-drawn streetcar in New York City. Pop’s livelihood stands in the way of a forward-thinking developer, W.S. Wilton (Byron Douglas), who tries to buy him out. When that option fails, Wilton selects force. 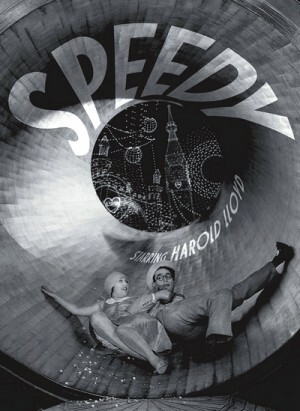 Can Speedy help there?